We also know those sad spreads that pass for office catering leaves you wanting a little more. Soggy deli sandwiches and greasy potato chips? NOPE. Rest easy, friends. XOCO is here to help. Our new catering menu gives you a whole bunch of tasty new options. Tacos filled with wood-roasted meats and fresh vegetables from local farms? Check. 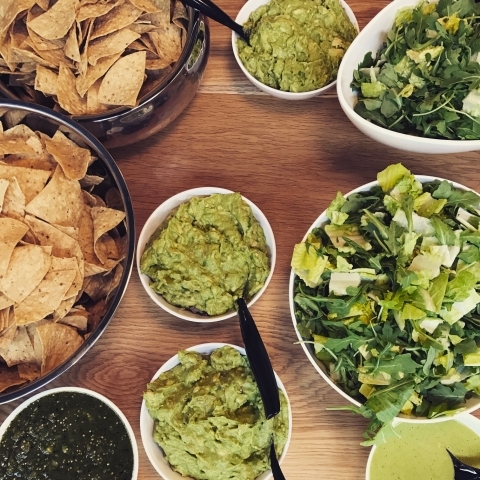 Huge bowls of freshly made guacamole with your choice of toppings? Check. Soul-satisfying smatterings of charro beans and rice? Check. Salads? Cookies? Churros? Check, check, check. Wanna make things super convenient? Try the Torta Box, a handsome little $18 package filled with one half of a ridiculously good torta, a side of guacamole, a big handful of just-made tortilla chips, small salad with avocado-lime dressing and a freshly baked chocolate hazelnut cookie. For more information on XOCO catering options, contact us at catering@fronteragrill.net. We monitor that all the time, but if you’re still not convinced, manager Maria Cotorra is standing by at mcotorra@fronteragrill.net and make your catering dreams a reality. 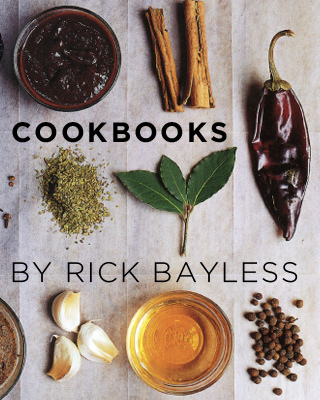 When will Rick do the next invitation to cook with him? My birthday is July 22.. Thought it would make a good birthday present.